This year, the 19th Baltic Development Forum Summit challenges old truths and takes a look at how a changing world creates new perspectives on growth. In what ways can an increased focus on sustainability and social engagement provide profits for business? How can the digital transformation open up new opportunities for small and medium size companies around the region? What will the political and economic developments within and outside the region mean for regional cooperation and our future economic performance? Together we will chart a new way for how to grow our region. Organised by the Baltic Development Forum, the annual Summits have provided a high-level meeting place for regional cross-sectoral dialogue since 1999. See the full list of previous BDF Summits and related materials. The 19th BDF Summit is arranged in conjunction with the 8th Annual Forum of the EU Strategy for the Baltic Sea Region. Sustainability rests on three pillars: Social, economic, and environmental sustainability. This is true for overall societal development, but also for business operations. More and more companies are realizing that environmental wins can have positive financial impact, and serve as a tool for reducing both economic and social risk. At the same time, the sharing economy and circular business models are allowing others to explore new ways of operating profitable businesses that meet current demand while also serving as good neighbors and community members, locally and globally. In this session we will explore new and smart business models for sustainability, from the perspective of companies operating in the Baltic Sea Region. The Baltic Sea Region is a digital frontrunner, and home to countries that are among the most advanced globally within digital competences, use of internet, e-government services etc. Many cities in the region display thriving digital start-up environments, fueled by talents/entrepreneurs, high innovation scores and creative ecosystems. But while vibrant startup scenes are growing in several cities, their focus of collaboration tend to be the global hotspots beyond the region. By increasing connections within the region, connecting start-up communities in neighboring countries and finding ways to complement each other, much potential could be released. How can the cities in the Baltic Sea Region interact across borders to boost transnational digital collaboration and an integrated digital labor market? Can we integrate a digital market by connecting innovative start-up ecosystems? How should it be done in practice? The last couple of years the issue of Russia-Western relations has been on the top of the political agenda. Now the Brexit-decision and the election of Donald Trump as president of Unites States raise the question of a broader West-West-divide. What will it mean to our region that UK is leaving the EU? Will it strengthen or weaken the cooperation between the North European countries, and what will it mean for growth and economy in the region. Will the change of administration in Washington lead to a new US-Russia understanding on international issues like Syria and Ukraine? And if so what would that mean to the Baltic States, the Nordics, Germany and Poland? The climate is changing, and critical infrastructure including power plants and electricity grids are particularly vulnerable in the Baltic Sea Region. Power blackouts severely affect people’s wellbeing and the economy, including the provision of vital services. 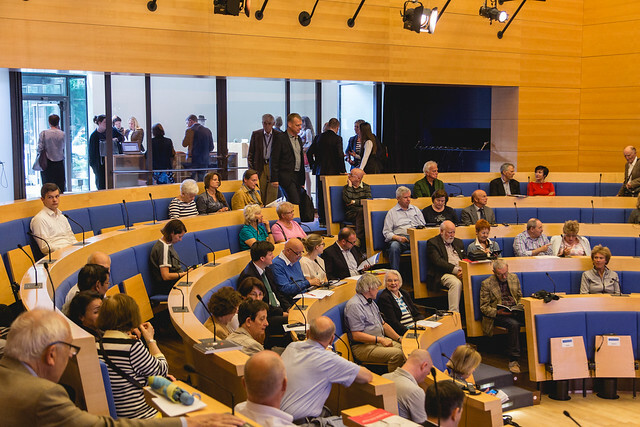 This seminar aims to address key problems caused by climate change to energy supply and seeks answers to how climate resilient technology and improved interconnections ensure affordable and secure supply of carbon neutral energy to the Baltic Sea Region. Digitalisation has been viewed as a solution that can turn around the trend of outmigration from smaller cities, towns and rural communities into larger city areas. However, globalisation, urbanisation and digitalisation affect different places, rural and urban, in different ways. The impact of digitalisation is often experienced by smaller towns and remote areas as the absence of banks and shops and with healthcare provision as a distant e-service. 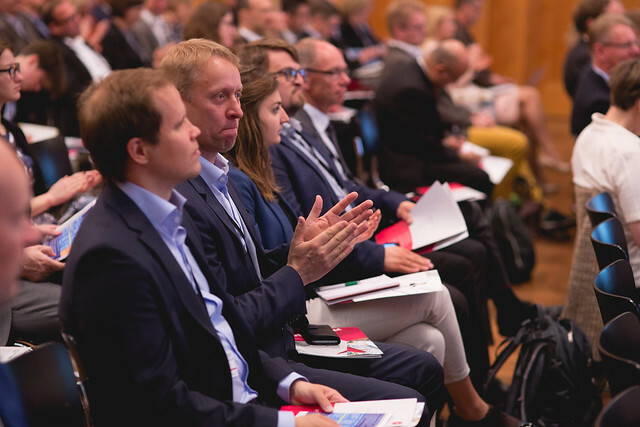 Recognizing both the opportunities and challenges of digitalization the seminar will discuss how to ensure an inclusive digitalization as a way to connect societies in the Baltic Sea Region. What are the challenges and opportunities when ‘Digi meets Bio’? The session focuses on the digital disruptions of production and consumption in the food and forest industry. We will investigate existing examples and experiences, discus the impacts of emerging trends and explore the potentials of a digital bioeconomy in the light of the need for a sustainable transition of the ‘old’ bioeconomy industries. In an ever-changing world, what do we need to do to meet the challenges facing the Baltic Sea Region? This seminar addresses the issues facing the Baltic Sea Region in a “post-globalised” world of Brexit, Trump and slowing growth, sharing recommendations from a policy paper prepared for the occasion. The discussions will result in recommendations on areas of cooperation that need to be strengthened and how policy and implementation must and should be operationalised through concrete action.